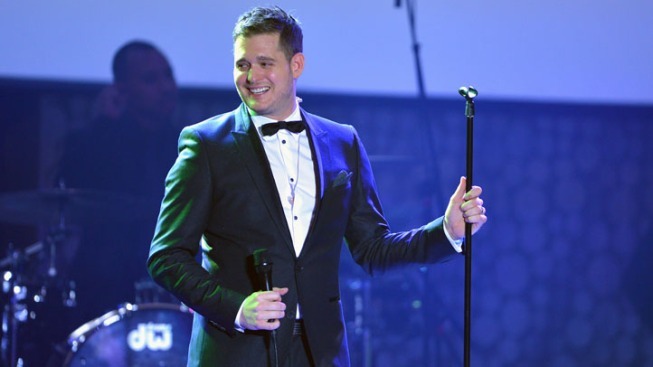 Bublé confirmed the news during a U.K. TV show appearance. Singer Michael Bublé, pictured here at The Heart Foundation Gala in California, confirmed his collaboration with actress Reese Witherspoon for his upcoming album. Can your ears even handle the excitement?! As if Canadian singer Michael Bublé's beautiful voice wasn't enough to please his fans, the crooner recently confirmed to U.K. TV show Daybreak that he will be working with Reese Witherspoon on a duet for his upcoming album, expected to release next year. "By all accounts it would be true," he said of working with Witherspoon. "I just really am a big fan, and so myself and my camp, we wanted to do this with her, and we were thrilled that she was excited about it too." The actress showed off a bit of her vocal chops when she starred as country singer June Carter in the 2005 film "Walk the Line," and told MTV News it was "the most challenging, horrifying experience of my life." Well, it couldn't have been that bad if she's willing to do it again (yay for us! ).